INDUSTRY.co.id - Jakarta - Spokesperson for the Supreme Court (MA) Suhadi said that his party had warned Judge Merry Purba seven times regarding the potential for bribery in the case he was handling. Suhadi said that was responding to the determination of an ad hoc judge of corruption (Tipikor) Merry Purba as a suspect in the case of alleged acceptance of bribery related to a case in the Medan District Court, after being secured in a KPK arrest operation in Medan on Tuesday (28/8). Suhadi said that the Supreme Court had carried out various coaching as one of the prevention efforts so that the judges were not trapped in cases that polluted the judge's profession. In the coaching, Suhadi explained the leadership met with the judges, and then reminded the judges of the noble profession that was carried out, finding out what problems were being faced, and together looking for solutions. "We also broadcast video arrests (KPT OTT) at the time of coaching; this meant that there was a deterrent effect. Because if they were involved it would harm the institution, family and themselves," said Suhadi. 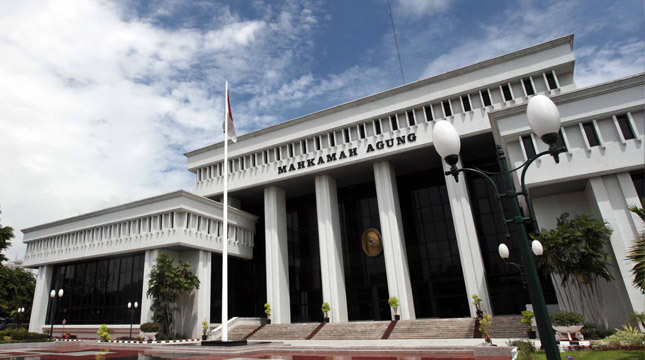 Regarding the case of the arrest of three judges at the Medan District Court, Suhadi said his party would conduct an evaluation related to guidance and supervision. "If the supervision in the court environment is already good and we can keep an eye on it, we prevent contact between litigants and related officials," said Suhadi. But in the case in Medan District Court, the transaction was carried out in a car that went to a place, so that the MA found it difficult to supervise. "This is the KPK's ability to help overcome," said Suhadi.